The Chicago area is still experiencing frigid temperatures with wind chills that are bringing the temperature down below zero most nights. 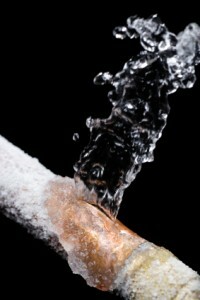 Temperatures this low can lead to several problems for homeowners, the biggest one being the potential for burst pipes. Freezing cold temperatures can cause the water in your pipes to freeze and as it expands, it can tear a hole in the pipes or cause them to burst. It is possible for pipes made from any material to burst such as PVC, iron, lead, and plastic so make sure to take the right precautions to help prevent burst pipes. If a deep freeze is headed to the Chicago area, there are a couple actions you can take to prevent your pipes from freezing. The first action is to insulate the pipes that are in uninsulated areas of your home such as the basement, attic, or crawlspace. The most common types of insulation to use for water pipes are foam insulation, pipe wraps, and heating tape. The other action that can help prevent frozen and burst pipes is leaving the water on to let it slowly trickle through the pipes. Keeping the water moving through the pipes, even at a trickle, will help prevent them from freezing. 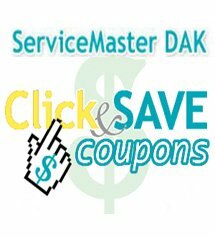 Our technicians at ServiceMaster DAK are IICRC certified to restore water damage in commercial and residential settings and we help mitigate the damage to reduce the amount of your insurance claim. You can contact ServiceMaster DAK anytime at 847-564-0204 to deal with burst pipes in the North Shore and Chicago’s Northwest suburbs.